Scooter Joes kayak launch locations map below. 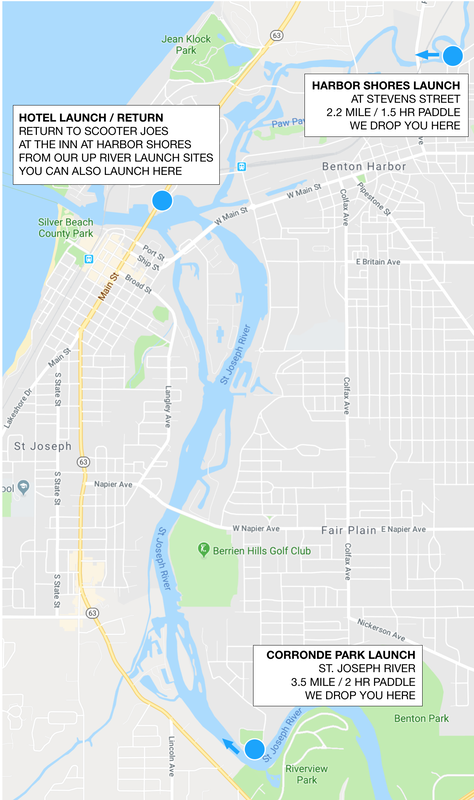 You can launch from our hotel location at The Inn, or we transport you to either our Harbor Shores launch on the Paw Paw River or our Corronde Park launch on the St. Joe River. Up river launch locations are for groups of 4 or more. You park at our hotel location, and we shuttle you up river. Paddle times assume continuous paddling (add time if you need it).